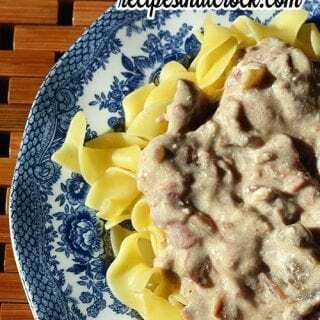 Crock Pot Beef Stroganoff - Recipes That Crock! This creamy Crock Pot Beef Stroganoff recipe is the ultimate comfort food and so easy to throw in the slow cooker on a busy day. 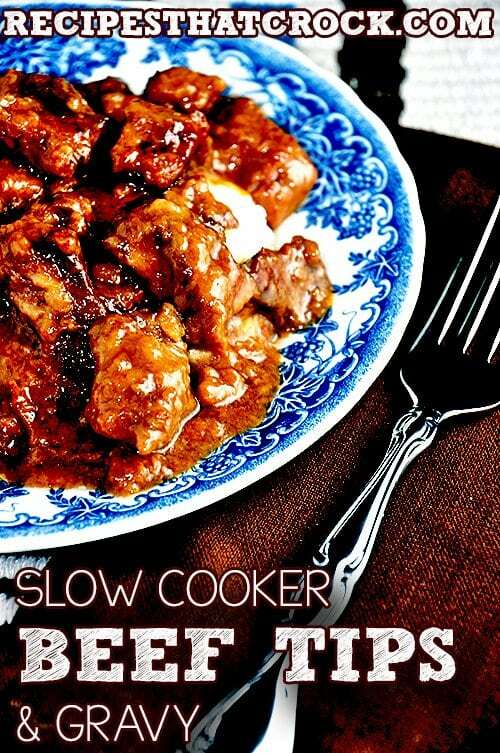 I found this recipe in Gooseberry Patch’s Slow-Cooker Christmas Favorites a while back and instantly added it to my menu. 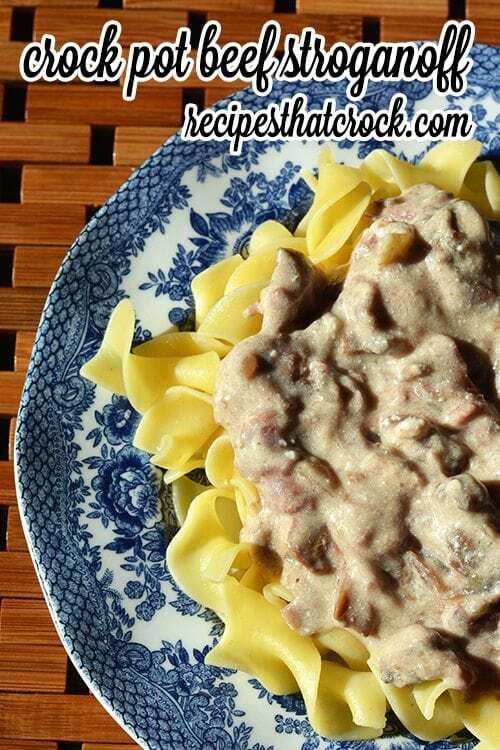 Miss Add and I are huge stroganoff fans and this recipe did not disappoint! 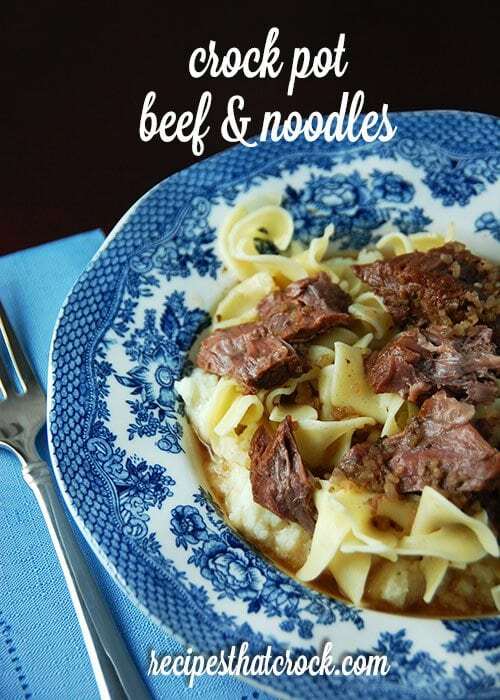 Psst… LOVE Beef Stroganoff but struggle to get things thrown together in the morning? 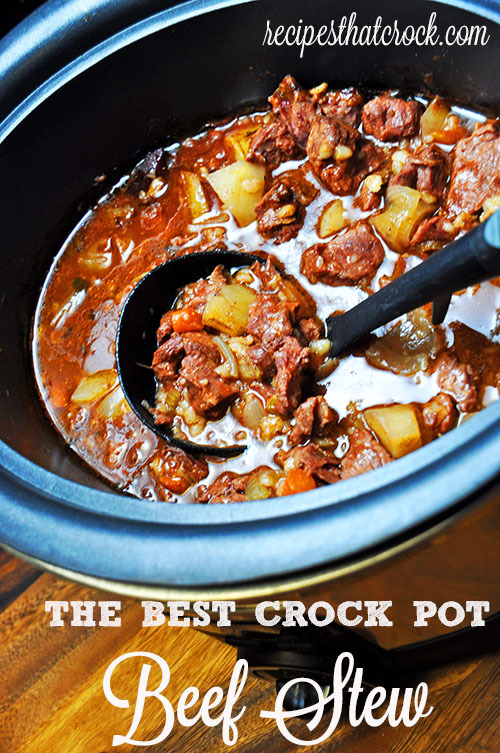 Check out our new Crock Pot Freezer Pack Instructions! This delicious Crock Pot Beef Stroganoff Recipe was altered from Gooseberry Patch's Slow Cooker Christmas Favorites. Mix together all the ingredients except sour cream and noodles in your crock pot. Cook on low for 6-8 hours or until beef is tender. Before serving, stir in sour cream.